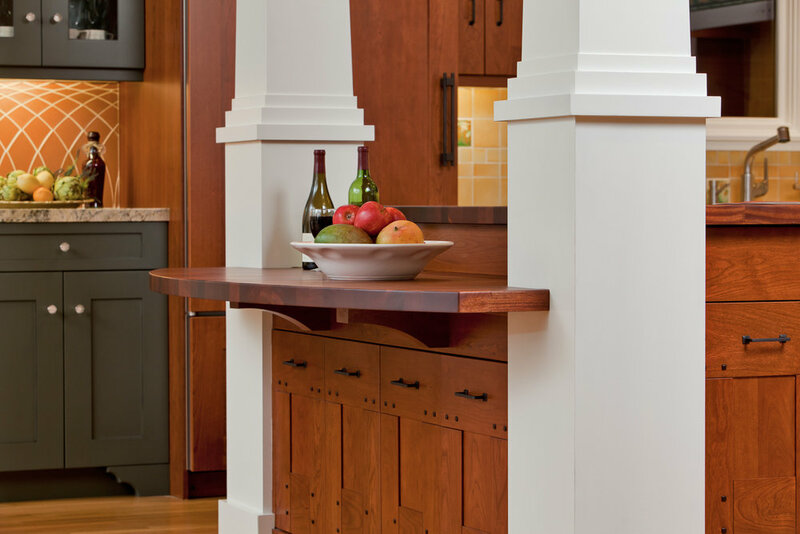 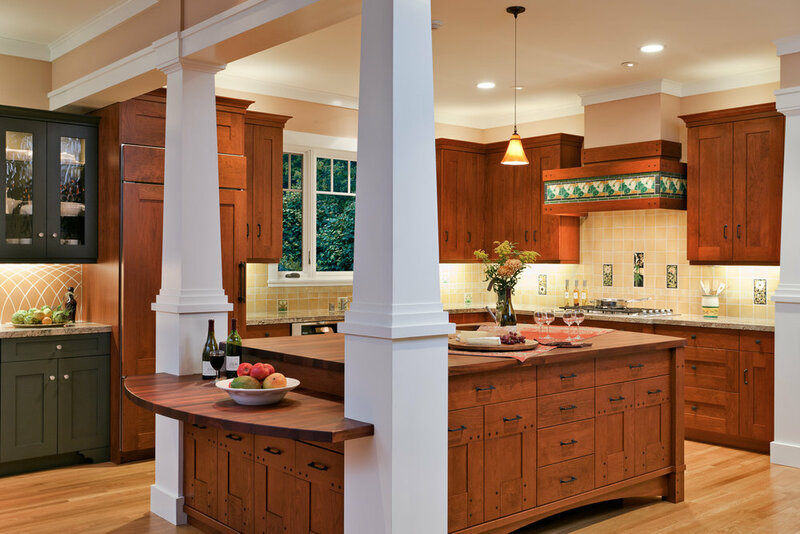 This kitchen opens into the living room and invites conversation and delicious cooking. 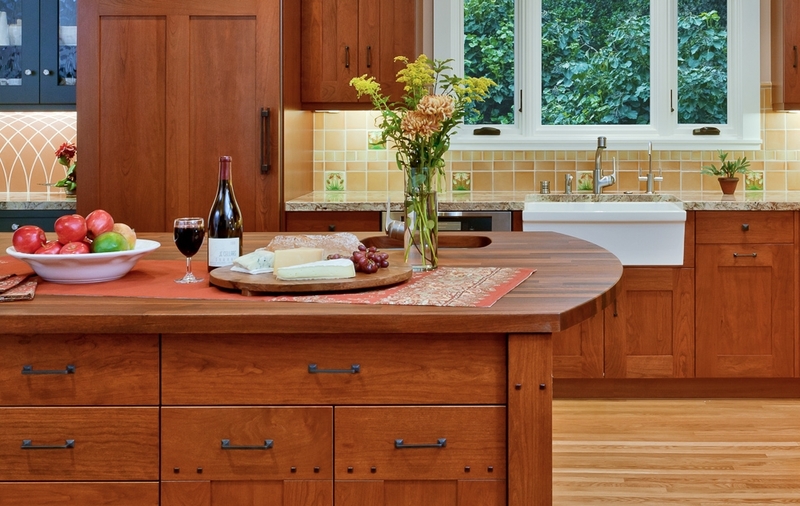 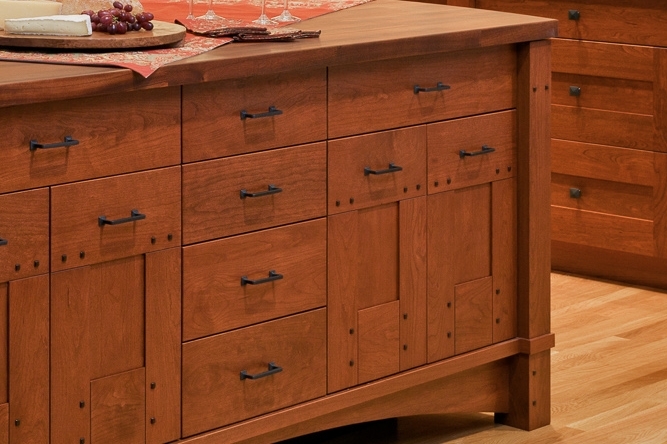 Craftsman styling and rich, warm cherry wood makes this beautiful California home come alive. 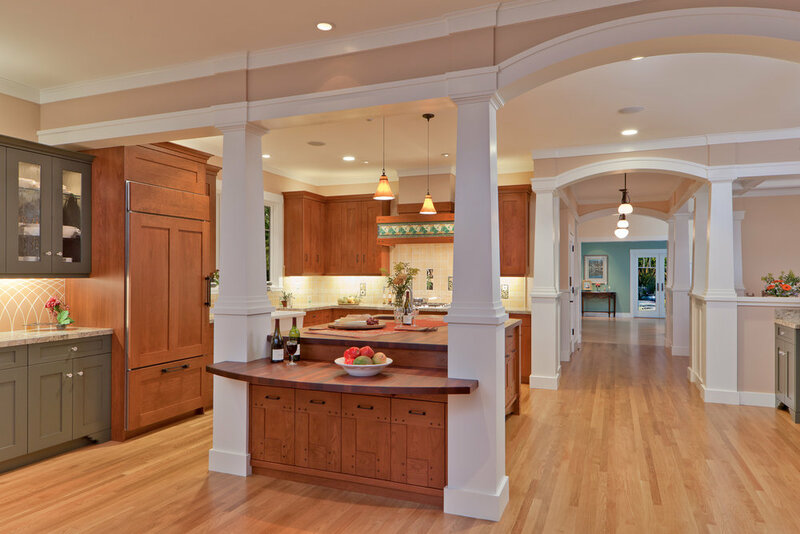 One of our favorite projects out West.